The CUPE Constitution determines the union’s objectives and how the union operates. It forms the basis for the functioning of the more than 2,300 CUPE local unions across Canada. The Canadian Union of Public Employees is Canada’s largest union. CUPE represents 680,000 workers in a wide range of occupations from coast to coast. CUPE is a democratic union in which the members make the decisions and set the policies. At all levels, it is the rank and file members who determine by majority vote what the Union does. 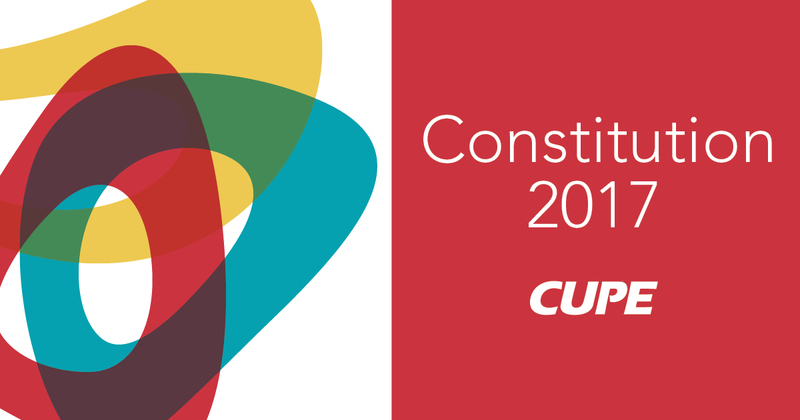 The CUPE Constitution accordingly belongs to the members of CUPE. It determines the Union’s objectives and how the Union operates. It forms the basis for the functioning of the more than 2,300 CUPE local unions across Canada.